End of January ~ already!! I’ve done January’s mood squares. I updated the colours a little. I realized I’ll need a colour for worry. sigh. While pondering some details of my mood blanket I realized what I’m liking the most about my blanket. I’m enjoying that the vast majority of mood blanket photos focus on one colour; while mine has the variety of emotions from each week. I’m still not completely happy with it because I haven’t completed the design in my head. I still like the design of the square but now I’m wondering how to join them. I can’t seem to picture the finished blanket. I’ve looked on Pinterest for some joining ideas but nothing popped out as “the one”. I’ll just have to mull it over and see what strikes my fancy. At the moment this one seems to be what I’m thinking of. But it also leads to the other question that I’m just not sure of… WHAT colour do I do boarders / join with?? I could just put that decision off ’til next Fall. I could just leave joining them all ’til the very end. OK In theory, I could. However, I’m more worried about getting the order of the weeks mixed up. Oh well.. maybe February will bring some answers. via Patching Jeans With Crochet. Beautiful idea and I love the photos afterwards. A nice collection that includes links and ‘how to’ photos! 14 ways to Join your Crochet. Comments have been turned off for this re-blogged post. Kindly visit the original post to comment. 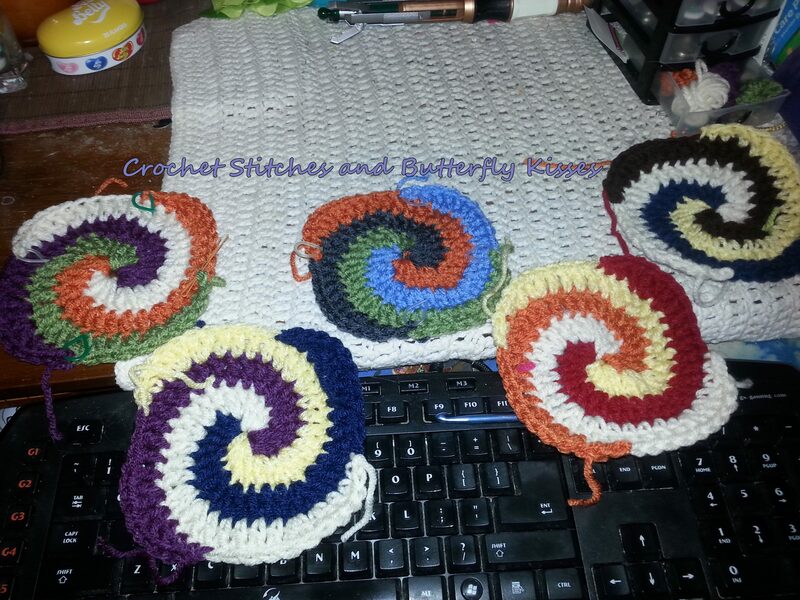 via 14 ways to Join your Crochet.